Bees can do MATHS, reveals a new study. We’ve all heard of a spelling bee, now researchers have found that the humble honeybee can do basic arithmetic. They say that the discovery expands our understanding of the relationship between brain size and brain power. 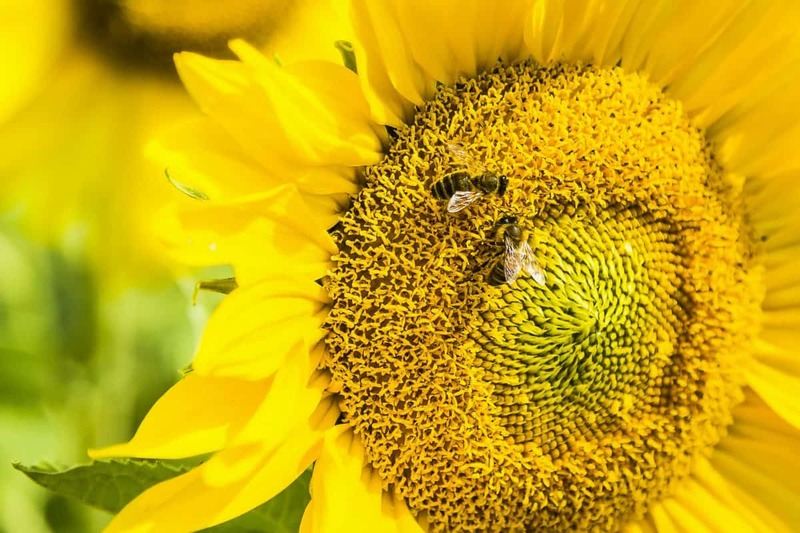 Building on their earlier finding that honeybees can understand the concept of zero, Australian and French researchers set out to test whether bees could perform basic arithmetic such as addition and subtraction. Solving maths problems requires a sophisticated level of brain power, involving the complex mental management of numbers, long-term rules and short term working memory. Scientists say that the revelation that even the miniature brain of a honeybee can grasp basic mathematical operations has implications for the future development of Artificial Intelligence, particularly in improving rapid learning. Led by researchers from RMIT University in Australia, the new study showed bees can be taught to recognise colours as symbolic representations for addition and subtraction, and that they can use that information to solve arithmetic problems. RMIT’s Associate Professor Adrian Dyer said numerical operations such as adding and subtracting are “complex” because they require two levels of processing. He said: “You need to be able to hold the rules around adding and subtracting in your long-term memory, while mentally manipulating a set of given numbers in your short-term memory. Dr Dyer said there is considerable debate about whether animals know or can learn complex number skills. Many species can understand the difference between quantities and use it to forage, make decisions and solve problems. But numerical cognition, such as exact number and arithmetic operations, requires a more “sophisticated” level of processing. Previous studies have shown some apes, birds, babies and even spiders can add or subtract. Now the new study, published in Science Advances, adds bees to that list. The experiment, conducted by PhD researcher Scarlett Howard in the lab at RMIT, involved training individual honeybees to visit a Y-shaped maze. When a bee flew into the entrance of the maze they would see a set of elements, between one to five shapes. One side had an incorrect solution to the problem and the other side had the correct solution of either plus or minus one. The correct answer was changed randomly throughout the experiment to avoid bees learning to visit just one side of the maze. At the beginning of the experiment, bees made random choices until they could work out how to solve the problem. Eventually, over 100 learning trials that took four to seven hours, bees learned that blue meant +1, while yellow meant -1. The bees could then apply the rules to new numbers. Ms Howard said the ability to do basic maths has been vital in the development of human societies historically, with evidence that the Egyptians and Babylonians used arithmetic around 2000BC.